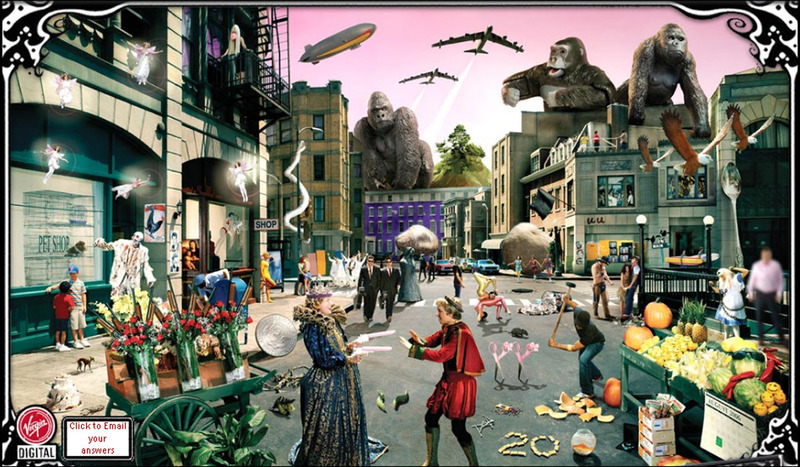 Picture puzzle with 75 music bands, can you find them? Linked below is an image with 75 music bands / performers with graphical clues. Can you find them? The image is hosted on my server. So please once you have the image up, right click on the image and “Save Image As” to the storage device on your computer. This will save a ton of bandwidth on my server AND with the image on your computer you can use IMAGE VIEWER or GIMP or other programs to navigate and zoom in on areas of the picture. List only one band per post, and no sequential posts. Let at least one other forum member post before additional posts. This gives more members a chance to participate. General area of the image <> description of the clue <> band’s name as a link to a biography or history of the band <> if possible, a link to one of the band’s song. This gives everyone a chance to discover bands that are new to them. Okay, I know @pudge said to give other members a chance, but untill now there’s no reaction and I find this one very fun. There are a lot of images that literally puzzles me, so I’m very curious. The gorillaz…Ofcourse!!! Forgot about that one…and so obvious! !